The foods we eat have more than just a nutritional benefit. Many foods and herbs also provide healing benefits as well. Man made the connection between plants and healing long before recorded history, but our scientific understanding of this connection is still relatively new. As more studies come out, we are rediscovering what our ancestors already understood. One such medicinal fruit that has undergone recent scrutiny is the noni fruit. The fruit comes from an evergreen shrub that grows extensively throughout the South Pacific along lava flows and forest regions. Noni was considered a sacred plant in the ancient healing system of Ayurveda, and is known in ancient texts by the name Ashyuka, which is Sanskrit for "longevity." In more recent times, relatively speaking, noni has been used in folk remedies by Polynesians for more than 2000 years, and many islanders refer to it as the "Magic Fruit." At one time, it was the most widely used medicinal plant in the region. When Westerners first visited the isles, they brought with them not only their cultural beliefs, but also their diseases. Unfortunately, many of the elders that knew how to use noni for its health benefits died from outbreaks of diseases they had no resistance to (noni can't cure everything), taking their knowledge with them. In addition, early missionaries who considered herbal treatments to be a type of pagan ritual helped enact laws that made practicing traditional medicine illegal in many Polynesian lands. In Hawaii, astoundingly, these laws lasted until the 1960's. But eventually things changed, and the remarkable healing powers of noni were “rediscovered.” As of today, there are nearly 40 known herbal treatments using noni once again in use. When you take a look at all of the health benefits the fruit can provide, it shouldn't be too surprising. In fact, this fruit has become so popular that you can find it in just about any form - everything from juice to pills to powder. Yes, noni contains vitamins and minerals such as potassium. The potassium content of noni is similar to that in tomato juice and orange juice. Potassium promotes healthy heart rhythm, muscular contraction, nerve function, energy production, and fluid balance. But noni isn't really about vitamins and minerals. So, how exactly does it work? The active biochemical in noni, proexeronine, is readily converted in the body to xeronine, an alkaloid, which is present, and necessary, in virtually every cell in the body. Raising the levels of xeronine to optimum levels can produce profound health effects, and noni appears unique in its ability to accomplish this. It also appears unique in its ability to trigger the release of nitric oxide from the body's cells. 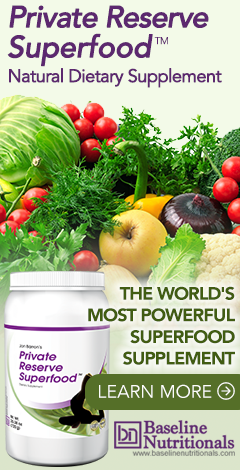 Nitric oxide is a key component in optimizing blood pressure, alleviating erectile dysfunction, and in fighting viral, bacterial, and parasitic infections and tumors. It's also associated with optimizing learning, memory, sleeping, and reducing the pain associated with inflammation and/or rheumatoid arthritis. Since its popularity has grown, the fruit has been the focus of many clinical studies and has been used to treat a vast number of conditions. For example, in a study published in the “Scientific World Journal” in 2012, it was found that noni juice was able to mitigate cigarette smoke-induced dyslipidemia (an abnormal amount of cholesterol and/or fat in the blood). Another study published in the “Annals of the New York Academy of Sciences” found that noni juice prevented the formation of cancer cells and attributed this action to its high antioxidant power. A study performed by researchers at the University Clinic in Hamburg, Germany showed that extracts of the noni fruit can help relieve pain and reduce the amount of joint destruction caused by arthritis inflammation. Even with all these benefits, there is a downside - most notably the foul smell and taste. One company has even turned this notable foul taste into a clever marketing message, “something that tastes this bad has to be good for you.” Many recommend mixing two ounces of noni juice with any better tasting juice to minimize the taste. As a supplement, you can also take noni as a concentrated powder, which bypasses the taste issue. Since it is such a great natural “cure all,” the powder makes for a great ingredient for many superfood formulas, as well. It should be of no surprise then to find noni powder as an ingredient in Jon Barron’s Private Reserve Superfood formula. For more information on how Jon Barron uses noni powder in his superfood formula, click here. I HAVE BEEN DRINKING NONI JUICE DAILY, AND WHEN NEEDED,USING IT TOPICALLY SINCE 1997 WHEN I WAS ONLY 63. AND WHILE I AM AN AGNOSTIC ATHEIST ACTIVIST WHO VERY RARELY CALLS ANYTHING A "MIRACLE" IT IS WHAT I CONSIDER NONI JUICE TO BE.